Showy woodland member of the Ginseng family. 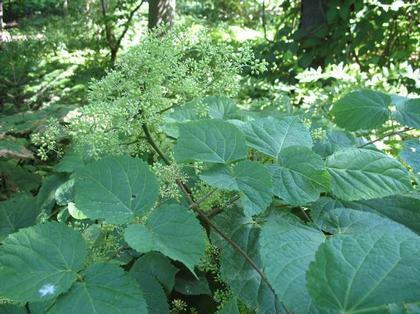 Near black stems bear numerous small umbels of greenish white flowers in early to mid-summer. Easy to grow but appreciates protection from wind due to soft stems and large leaves.